Downbelow Marine & Wildlife Adventures, formally Dive Downbelow, are currently the top rated diving company on the SCUBA Travel site. And we have thousands listed. They not only keep their divers happy, they are equally committed to protecting the environment. 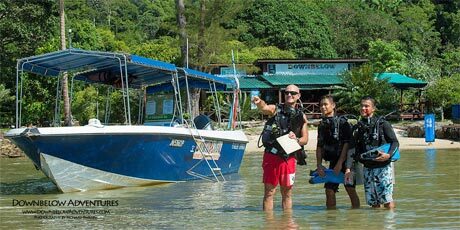 Downbelow are a PADI 5-Star IDC Centre with two dive centres based within the Tunku Abdul Rahman Marine Park (TARP) just 10 minutes by boat from Kota Kinabalu. One on Gaya Island, surrounded by lush tropical jungle and vibrant dive sites right on their doorstep. The other based on Manukan Island where they offer stay and dive packages. They provide complete SCUBA diver training courses from Discover SCUBA through to IDC Staff Instructor. Daily reef and wreck diving trips along Sabah's West Coast and the Tunku Abdul Rahman Park. They regularly scuba dive Sabah's famous Pulau Tiga (Survivor Island) and also visit Sipadan, Lankayan, Mabul, Layan Layang and Kapalai. Downbelow are committed to responsible tourism. They aim to foster appreciation, awareness and conservation of the environment and development of local people. The diving is run by experienced marine enthusiasts who love to explore, research and photograph the surrounding reefs of the Tunku Abdul Rahman Park, Pulau Tiga and beyond. Gaya island is less than 10 minutes ride from the mainland aboard their dive boats. Downbelow Marine & Wildlife Adventures Sdn. Bhd. "We were out at DDB for 1 week and the staff there are amazing, The facilities are excellent, and the sights from diving were stunning. I would highly recommend anyone who is interested diving whilst on holiday to come to DDB, and experience some of the amazing sights that we saw, such as a Hawksbill turtle and a black tipped reef shark. Richard and his team are working extremely hard out there to not only provide a great place to dive, but protecting the coral reef for future generations. " " Diving was reasonably priced. I would definitely dive here again! Staff were very friendly and professional. The quality of diving and service meant it was exceptional value for money! Would thoroughly recommend. " "Downbelow Marine & Wildlife Adventures : I only have fantastic things to say about this company! The location is beautiful, and all the staff were friendly and welcoming. I felt so safe diving with Downbelow (something really important to me, especially as a first time diver) and my instructor was amazing! I highly recommend Downbelow to anyone going to Sabah (whether it is to dive, snorkel or take a day trip). I can't wait to go back to dive again with Downbelow! " "I first got in touch with Dive Down Below when I visited Borneo in 2009. I learnt to dive with them, on their beautiful outside of KK. Four years later when I was planning my honeymoon, me and my husband were desperate to get back to Borneo. Remembering how helpful and kind the staff were at Dive Down Below, I got in touch with them via email in the off chance that they might still be operating in Borneo. They have surpassed all expectations! I must have spent a month, sharing emails daily with the ladies at the KK office, who helped me to plan a bespoke trip around Borneo to some of the best places I�ve ever been to in my life. They did all this before I'd even paid anything � so they were going well above the call of duty. They not only helped plan the trip, but helped with suitable flights, destination info, timings of journeys and what to bring. When we got to Borneo and started our tour, the tour guide was brilliant too. I can�t recommend them enough. I very rarely have such a good end to end experience and the team at Dive Down Below are five star. " "PADI Open Water Diver course in Kota Kinabalu. I have nothing but amazing things to say about this company! Starting from my original email enquiries, during my travel, and throughout my dive course, all of the staff were helpful, friendly and professional. For diving/snorkeling they offer pickup and dropoff service from your KK hotel, to the harbor, and from there you board one of their boats to take you to the dive center on Pulau Gaya Island. Unlimited tea, coffee, water, fruit and biscuits throughout the day, as well as lunch are included. My dive instructor was fantastic. He was extremely patient, catered to my specific needs, and did a great job helping me push through my fears! I felt so safe and comfortable with the entire Downbelow team that I continued and completed my Advanced Open Water course, then stuck around for another day of fun diving! I absolutely recommend using Downbelow whether you are looking for a day of snorkeling or diving on Gaya Island, to take a diving course, or for an adventure trip throughout Sabah. They have a large variety of things to offer. Don't hesitate- email them today! " "I love diving with Downbelow. Their location is beautiful and the equipment is in good condition. Most importantly if something is not working they quickly remedy the problem. I've completed three PADI courses with Downbelow and about a dozen fun dives with them. I keep returning for the friendly staff and great environment. Everyone is very knowledgable about diving and the sealife of the dive sites. I always feel well looked after from planning via email with the office staff to diving with DMs and instructors. I recommend Downbelow to friends all the time and I do not hesitate recommending them to any one planning to take a trip to Kota Kinabalu. " "Having never Scuba Dived before and knowing we would be in Kota Kinabalu, Sabah I decided to arrange a PADI diving course with "Downbelow" for my son and I and am pleased to report I made a good choice. From my first contact and through several exchanges the staff took great care of our needs and everything went flawlessly despite my need to break the 3 day course up midway. The office staff took care of everything including my last minute changes. Our PADI instructor was excellent in his ways and manner, his instruction was excellent and neither my Son or I had any concerns or difficulties with the various exercises, the instruction was well presented. I would highly recommend "Downbelow" for anyone considering Diving in Sabah and I would hope that my son and I will have the opportunity to dive again with "Downbelow" "
"I completed the PADI Divemaster and IDC Courses here over three months. The practical location and set up of the facilities are very good for both entry-level and professional level courses. If you stay at the dive centre for some time and complete an internship, unlimited diving is included, and the facility has gear available for use so there are few other expenses and it ends up being really good value for money, particularly for professional-level PADI training. I would dive with them again for sure! " "As soon as I reached Downbelow, I was treated like a special guest! The entire staff was professional, helpful, friendly, and patient! I felt like everyone was treated like family, allowing for an open atmosphere where it was easy to make friends. I certainly plan to return next year for the whale shark season! This organization also does more than diving, but offers other opportunities for hiking, diving in other areas, and day trips. You will be in great hands with them! " "Great value for money! I did the IDC with them and would do it anytime again! Richard is a great teacher and helped me a lot." "We stayed at Dive downbelow for 2 months to do our idc and IE. We gained a lot of experience even outside the idc. We had the opportunity to join a lot of OW courses and even more advanced courses. This gained us not even experience, but also more confidence towards the IDC. We thank the amazing team for this trip and must say that this is one of the best places we've been to. Not only the team is really nice, but they were all well experienced and gave a good education to all the people that came here. From snorkling to instructor courses. They all gave the same attention and professionalism. Also the care for the environment was really nice to see. From beach clean up every day to projects like the shark aware! Last but not least. As a cook i must say the food was amazing! Thank you for the nice experience "
"We had an amazing 2 months with Downbelow... They are very professional and we learned so much of them during our IDC internship! We had the best time and I would not hesitate to do it all over again with them... "
"Downbelow Marine & Wildlife Adventures are fantastic to dive with. Their instructors are friendly and great fun to be around. There are snickers bars available that are most welcome after a long day's diving! If you're looking to dive anywhere, this is somewhere you should definitely go! Gaya Island was an incredible experience, fantastic diving! We chose to stay on the island in the large 40 man tent. Such great fun as you can spend the night watching the macaques and wild boar on the island, or the hornbills flying into the trees surrounding. I also saw a kingfisher on the bay fishing." "After 30 years of diving I took the dive master course at Dive Downbelow. the course was extremely well run and the staff are extraordinary in their enthusiasm, efficiency and making it all fun. The facility is enchanting, located on a small island and surrounded by jungle and calm clear oh so warm water. I highly recommend Dive Downbelow for any dive class, especially at the pro level." " I am just back from Borneo, where I spent 4 days between Kota Kinabalu, Sandakan and Sepilok. The entire trip was organized by 'Downbelow' travel centre. My contact Alice, senior consultant, was extremely efficient and proactive in giving advices, replying to all my queries in 24 hours or less. Everything went smoothly and according to the itinerary. For the last day I had plan 3 dives with Downbelow dive centre in Gaya Island. Again the team impressed me with the level of professionalism, care and fun. The entire crew made us feel extremely comfortable and welcome! I would strongly recommend a day out with this team. Special thanks to Paul, Richard, Liz and Richard. Hope to see you again down below....."
" It surprised me Downbelow in KK, east Malaysia, provide diving courses of high quality. The owners of Downbelow, a British couple, run the diving shop in a casual but organized way. The boats picking us up at the harbor are all in good condition. Actually, most of the boats are quite new and comfortable, which is a little nice surprise for foreign divers. The diving shop itself is simple but the restrooms and shower rooms/facilities are functional and clean. All of the staff are nice. My instructor, Bob, and the intern/assistant Michelle are such friendly guys. They give clear instrutions all the times so I don't feel nervous or terrified at my first diving. Bob is very good at giving gestures underwater so even people with limited English ability can understand him well. All of the diving experiences with Downbelow were fabulous. The only problem lies at the communication with them before going there. I'm not sure whether it's due to misunderstanding of English, the information provided by Sue, the travel consultant wasn't clear or correct. The package price (diving courses + hotel) provided by Downbelow might not be the greatest bargain. You may want to check the room price and promotion on hotel websites instead of taking the package offers from Downbelow directly. " " Downbelow cost �40 for 1 day snorkelling with lunch and escorts. Would definately use them again. We booked a full day introduction to snorkelling and right from the point of enquiry until when we were dropped off after the activity the customer service was superb. We had to rearrange the trip because of illness and this too was dealt with the minimum of fuss. The vehicles used were all in top condition, the equipment was OK - well used but perfectly serviceable. Our guide for the day was Paul and his attention to our safety and enjoyment was total. We were allowed to explore the coral reefs at our leisure and were shown many different types of fish and other creatures, which made the day interesting as well as breathtaking. The island where the base is situated is called Gaya and the 8 minute ride from the harbour was very refreshing after the 30 degree heat. The whole team was comitted to ensuring we had a great day and I consider it was good value for money. I would recommend the company and this experience to anyone thinking of trying snorkelling. The company is a jv between a british couple I believe and a local lady and the mix of british and local people worked very well. The emphasis is very much on safe enyoyment with customer service high on the agenda. Thanks for a brilliant day." "I found Downbelow Marine on the internet before our 7 days trip to KK then I called and emailed with the Travel Consultant - Carol, as I had an 11 years old girl to do Junior PADI Open Diver Course, and I had millions of questions. Carol answered all my questions in details and with great patience. My daughter's instructor was Wellson, he was very professional and good with kid. During the whole four days course, we were greeted cheerfully everyday from the staffs. Downbelow was always on time to pick us up from the hotel, then the transfer to Gaya Island was safe with life jackets. There were unlimited free water, tea, coffee, fruit, biscuits for everyone. Lunch was okay, not very exciting, but we can't eat much before the afternoon dive anyway. All equipments were in good conditions and have smaller sizes for kids. Everything was great and my daughter completed her Junior Open Water Diver course now and we would definitely go back next time. Gaya Island is beautiful and clean. I am so glad we went and found Downbelow Marine, I did not have a minute of worry during the whole trip, as I know, they are very professional and helpful. " " I completed my Open Water Dive fruitfully with DOWN BELOW MARINE WILDLIFE ADVENTURES..it was excellent arrangement n knowledgeable instructor.. during my course it wasn't only the qualification I gained but the experiences underwater is heaven to me....BEAUTIFUL!...Tunku Abdul Rahman Park's House Reef, Mangrove Corner and North Sulug..BEAUTIFUL!. I wish I can come again...feel more experience with all of u...I will ALWAYS go dive with DOWN BELOW! It was my pleasure moment and I treasure it every moment!.....I completed my OPEN WATER COURSE fruitfully....excellent arrangement from the beginning till the end....Thanks ABIGAIL and the team at HQ for the friendliness and for making my trip easy ........big WOW! for the instructors, especially to my instructor CYRIL.....u r Awesome! thanks for the knowledge sharing, u are Incredible! I can hardly wait to dive again with DOWN BELOW again"
" Downbelow Marine Wildlife Adventure..one word that i can say..AWESOME..i go to dive last week with my classmate...we enjoyed what we are doing...a lot of things that i can learn...the staff very friendly...i got the best instructor...TQ for teaching me how to dive..
i wish i can come again...feel more experience with all of u..."
" We stayed in an apartment and travelled to Downbelow meeting point everyday although they are happy to collect. Marvellous value for money. The team at Downbelow can cater for all ages. The variety of instructors means that my youngest son was taken care of by Bob whilst Tim Tan looked after me as I seemed to have difficulty sinking! My 19 year old and his 34 year old uncle went off with someone else. We all came away qualified open water divers and are going back next year to continue with the advanced. What a warm and friendly, relaxed and yet professional set up on a piece of paradise. The cost was reasonable and we would definitely dive with Downbelow again and plan to do so next year. We just wish we were nearer!" " My girlfriend and I just completed the Open Water Diver course with Downbelow. They provided excellent, friendly and professional services to what I need for our 9 Days trip. We had a super great time in all of our dives with them. Highly recommended to everyone who is going to visit KK. We would like to return again for our AOW. " " My 2 grown up children took their PADI Open Water Course with Down Below. The instructors were thorougly professional in doing their job, the diver to instructor ratio was low - my children were even alone with one instructor. The atmosphere was friendly and relaxed. We got the feeling that the instructors loved their job! The teaching is around The Beach House, Gaya Island, just a short boat ride from Kota Kinabalu and still looks like a tropical paradise. The diving gear was fine. My wife and I just went for snorkling 1 day and it was also excelent, though the reefs were more worn down than what we saw later at Mabul Island. As new beginners we got good and safe instruction. Their home page is worth visiting: Lots of information and beautiful pictures. Yes, we can highly recommend Down Below. " " I am Wayne Palmer and now a PADI instrutor thanks to the IDC run by dive down below and the subsequent IE run by PADI The instructor development course is not for the faint hearted it is an intensive and chalenging course that is made comfortable by the proffectional yet easy going nature of the dive down below team in total I spent 2 months with the down below team both in KK times square and on Gaya island and I really became part of the family I would sugest to anyone thinking about taking the IDC to take advantage of the month package there is some great diving from Gaya island and it is a relaxed and freindly place to embrace the learning needed to become a PADI Insructor My thanks to Richard Joanne James and the whole team at Dive Down Below"
"I took the snorkelling tour with Downbelow for my family, none of us were good swimmers, we were scared if we did the right thing to book for the day with them. We were so pleasantly surprised with the friendly atmosphere among the group the instructors who were always willing to go that extra mile to help. It had to be something special to make it the best day of the tour for my 9 yr old kid. A big thanks and all the best wishes to the team of Downbelow group who were with us that day, we would love to come back to you guys on our next visit ! " "I have recently finished my OW diver course followed by advance OW course and the EFR certification from them. All I can say is that it is the best money i have spent in a while. No hidden charges like some other operaters in the regaion, all inclusive which saves alot less things to worry about. The folks of downbelow are very friendly and accomadating. Always trying to lookout for the best interests for you (atleast thats what i felt). The whole expereince for me was very rewarding and I am definitely giong back in the near future. Thanks you guys....finally found a place which felt like home. :)"
" Padi course through down below, very professionally run, we went to a number of dive sites around Sabah Gaya Island. So much macro life, visibility can very from dive to dive but the crew are trained to take you to the best spots according to the day. Boats were outstanding and were dive purpose boats. Outstanding value for money. I will return later this year to complete Dive Master as an internship." "Did our PADI Advanced Water Certificate, Nitrox and PPB specialty Courses with Down Below on Gaya Island as well as three fun dives. Definitely dive with them again! Boats were good, both dive and transportation to and from the Islands. Included in the price - we stayed on Lankayan Island and would definitely go back accommodation was amazing and in KK we stayed in hotel and went to the Island each day and we thought it was good value for money. Lankayan Island is one of the best places I have dived - in and around Gaya Island is also very good when the visibility is good . Would definitely recommend anyone going to Sabah for diving to use Downbelow - very professional company! Dive Masters and Instructors are incredibly patient, friendly and helpful and they are all locals." 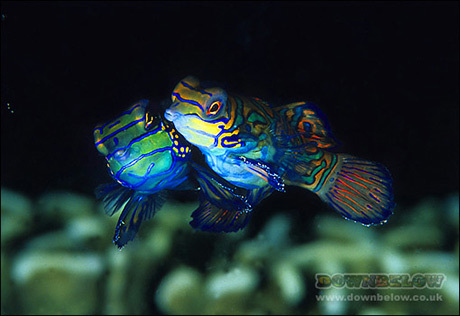 "Downbelow dive school: look no further, they are fantastic. Beautiful Gaya island, you get a real sense that all the staff are very well qualified, organised and they absolutely love their jobs. The trips are very well structured and great fun. Facilities and food are awesome! Would love to come back! Best dive school :-) "
"I really enjoyed the course with u all. It is a good service. I must thank my friend,Brandon Oh who recommended me to this. I would love to dive again. Good instructor. Friendly staffs. I suggest to improve toilet and meals. " 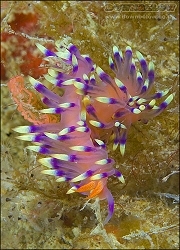 "Diving was very well organised, good price 3 dive day including lunch/drinks. All the staff were very nice and helpful and good at jobs. Lunch was nice"
They provide excellent quality services to visitors. The instructors were very professional,knowledgeable and friendly- very essential especially for first time divers. Learning to dive with downbelow made me realize that diving is actually very fun and not as intimidating as I had imagined. " 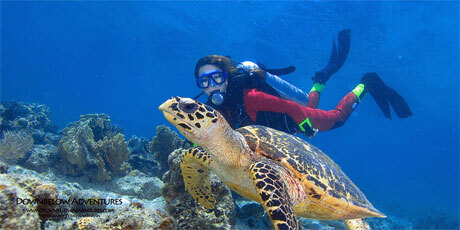 "Downbelow Marine & Wildlife Adventures has a professional, friendly and helpful team. They arranged a Discovery Scuba diving lesson and a wildlife adventure in Kinabatangan river for us which we enjoyed very much. Although they are a little pricier, it was worth it. The quality of service was excellent. We had our first diving lesson on Christmas day and were invited to join a staff Christmas BBQ party. It was an enjoyable day and great meeting with the friendly staff owners. " "Cost of diving is a little bit pricey compared to other dive centres. But, I don't mind paying this little extra as they can provide fresh water after each dive, free flow beverages/hot food for lunch, high safety standards, well maintained equipment and high ratio of guide to customer. The other dive centres can't provide all these things as they don't have dive centre station on the island itself. So, basically no fresh water to wash yourself after each dive and packed food from mainland for lunch since early in the morning. Overall, I will definitely dive with them again in the future. I was totally satisfied with the service they provided from booking process until the day I finished my diving with them. Less email exchange during booking process and all instructions are clear. They have a great team members with great team works. " "Downbelow Marine & Wildlife Adventures , Gaya Island, Sabah, Malaysia. I would definitely dive with them again, the location is great on a quiet island (without hundreds of other tourists around). This was my first time at diving and therefore I felt very comforted by the personal attention provided to every diver. I started off in a beginners class with 3 students to 1 instructor in the morning and for the afternoon and next day had 1 on 1 instructions. Every dive, even the confined are in amazing surroundings where you actually manage to see coral and fish in your first few dives. Furthermore verything was well arranged, from the hotel pick-up service to the drinks and lunch. In summary, the perfect place to go diving if you want the whole day to be taken care of and no thinking on your part (besides on the diving of course). I would recommend anyone to go visit Downbelow, not only beginners, as my boyfriend is a more experienced diver and is just as enthusiastic as I am." "I did 9 dives over three days for the very reasonable price of RM940, or about $300, including transfers from hotel to the marina and back, boat transfers to the marina to the island and back, delicious lunch, equipment, and a great team of divers and guides! And the boats are very fast!! I would highly recommend anyone in the region to dive with the Downbelow team. You dive from an island's bay, a very quiet area where the only tourists are the other divers from Downbelow. The instructors are extremely knowledgeable, friendly and helpful. I cannot think of anything negative to say about Downbelow, besides that they don't have a shop in Toronto :)"
"Professional and friendly dive and travel operator. Fantastic dive centre on Gaya Island"
"Downbelow Dive on Gaya Island off the coast of Kota Kinabalu were a fantastic company to dive with This was our second time there and their growth and expansion in facilities is a testament to their professional staff and the support of their customers." "Have been using Downbelow's services in 2009 and returned in 2010 as they just are THE BEST service provider in Borneo! Have booked diving, wildlife adventure, accommodation transportation with DB :) We will definitely be back again and again and..."
"These guys are based in Sabah, we dived with them in Sabah and they arranged for our diving in Sipadam and our stay at Kapalai. First class service, very professional and great value for money. Look forward to diving with them again at the first opportunity." "The fast and comfortable dive boats, well maintained dive gear, comfortable dive center and especially the friendly staff makes Downbelow a first-rate dive operator. Diving around TARP (Tunku Abdul Rahman Park) is excellent too. Always something new to see. I can't highly recommend Downbelow enough and will continue to recommend them to friends." "My family and I have just returned from a holiday in Sabah where we dived with Downbelow, we had a great time and I cannot recommend them highly enough. We found the Downbelow team offered very good service, were great fun and extremely professional. If we ever go back to Borneo, I would definately dive with them again." "Having had my PADI licence for 10 years I wanted my wife and daughter to experience the beautiful unknown nature of the world below sea level. 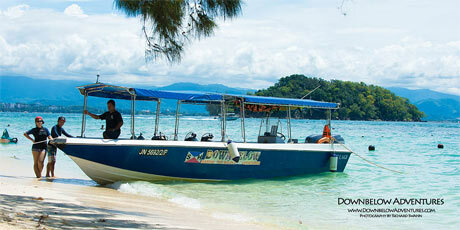 We had already booked our holiday to Borneo and were attracted by the very professional website of Dive Down Below. 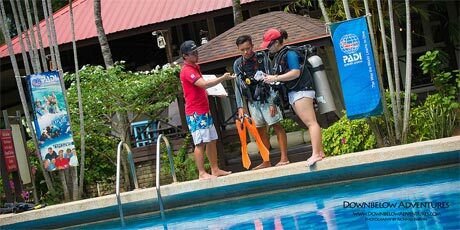 Both my wife and daughter attended and finished their PADI open water course with the professional help of Dive Down Below. We were so content with the organisation that we booked another 3 days diving with them. The variety of dive sites and other activities (check the website) are numerous and I would recommend everybody to check this company out." "Very good, very professional with good equipment and discipline. 5 star PADI dive centre on Pulau Gaya. Quite a few local instructors that have been trained there to a good standard. Very safe. There are other diving outfits in KK which I have been with and some are ok. However Richard, Joanne and Evie in my opinion, provide the best service. They have the facilities, instructors and boats to handle several groups without the customer feeling that he/she is missing out on something. Good value for money. " 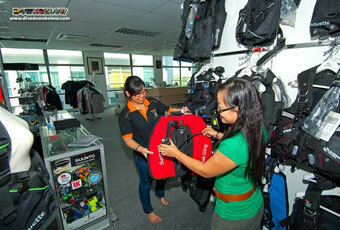 "Before visiting KK, we have consulted numerous dive centers highly recommended by various websites. Good thing we decided to try diving Downbelow. Every single bit of comment previously posted here by their satisfied clients are true. They are very professional, they respond to your queries like they are just waiting for you to click the reply button, the service is outstanding-never once have I felt I was asking a silly question considering I'm a first time diver. Though scared at first, they made sure I outgrow my fear of the deep blue and that I enjoy and appreciate the majestic marine life KK has to offer. To everyone who'se going to KK, I highly recommend Downbelow! " "Downbelow is good bet if you want to dive TAR Park. The crew are friendly and gives excellent service. Their boat and equipment are well maintained and you will surely not have a dull moment with them either on land or underwater. Will surely be back for more. Highly recommended. Tungku Abdul Rahman Park is the best kept secret for Borneo diving. If you are ever in Kota Kinabalu do dive here." "I strongly recommend Downbelow Marine and Wildlife Adventures to those divers who want to do diving in TARP Sabah. They are very professional, well maintained gear, fast, friendly and they'll give you 5 star services. Can't wait to be there again. I really enjoyed my 10 dives with them.."
"Did 3 days diving with Downbelow and had one of those rich rewarding experiences that reminds us why we love diving so much. Not just the good dive sites, which were all wonderful and varied, but its the way you feel from start to finish. The hassle free transfer to the island , the relaxed atmosphere around the office where you could chat to all the friendly and knowledgeable staff making new friends, to feeling completely confident and safe in the equipment they have, the size of the dive groups and the well trained DMs. Thanks again to all the team at Downbelow, would use them again without question if I ever get to Borneo again. " "I would always dive with them again - really nice and friendly staff, great location and food ;) "
Have you dived with Downbelow Marine & Wildlife Adventures ? Tell us what you thought.